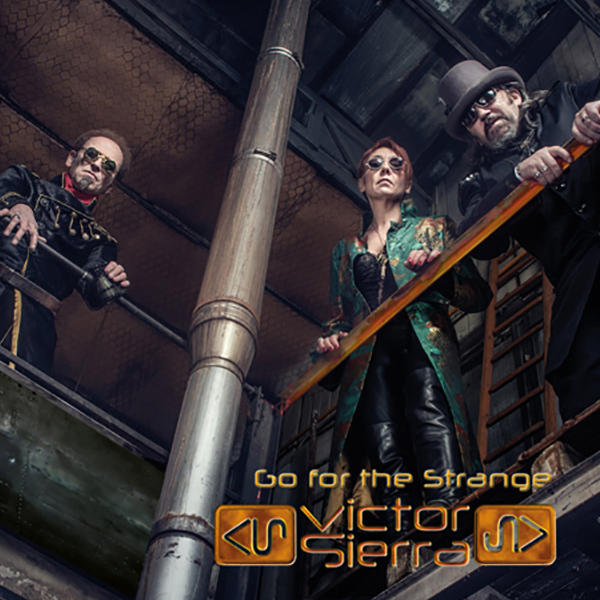 Parisian steampunk ensemble Victor Sierra is back with their latest musical brain child, Go for the Strange, a twelve-song compilation of the band’s signature steampunk sound. Said sound is exactly what sets Victor Sierra apart from other steampunk bands: their particular signature vocal sounds and their own blend of storytelling and new wave. They have gone for a lot of consistency on this album, which is great, especially considering they sing in different languages. But sadly it’s just a little too consistent at times and it can be hard to tell where one song ends and the other begins. Even songs, like “Ostende”, that are slightly different fit in perfectly with the theme of the album, but again are not different enough to really stand out by themselves. There are differences between the songs, but they are often subtle and in the story told within the song. This definitely makes it more of a focused listening album rather than something you play in the background and it serves more to listen when the mood strikes rather than something to put on whenever, which is not necessarily a bad thing. Overall, Victor Sierra has shown they have evolved as a band and have further developed their sound that sets them apart within the genre of steampunk music. But it is a very particular sound that will either appeal to you or not. Is worth checking out on their website anyway.